Technology is advancing at a rate faster than it ever has before. And we are on the cusp of changing the way we play games forever. Some gaming technologies may honestly end up being a failure, but others we have very high hopes for and are essential for the future. Fiber Internet. With the growing amount of media and the potential for 4K and 8K resolutions, the bandwidth of your internet connection is becoming a crucial part of your setup. We’ve all heard of Fiber Internet, especially Google Fiber and Verizon FiOS. It’s gigabit download speeds. That’s speed so fast that downloading a file would be the same exact thing as copying a file from one hard drive locally to another. Online gaming would have almost no lag, no matter how many players are involved. You could get your game updates almost instantly. Cloud gaming would actually be practical and pretty much, everything could be streamed wherever and whenever. Self-Driving Cars. What does an autonomous vehicle that drives itself have to do with gaming? Not a whole lot as a concept, but at the minimum a car that does not need your input gives the passenger time for other things, such as gaming or online gambling. Not bad, right? This idea is not actually that far off as self-driving cars are becoming less science fiction and more reality by the year. Actually, self-driving cars exist and more importantly, they work. 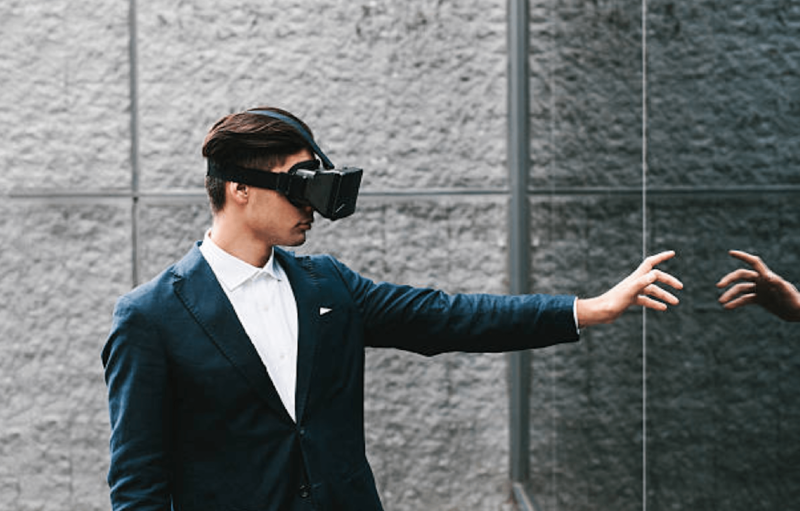 However, it is clear what the future holds, and who knows, one day you may be emerged in a virtual reality world while your car drives you to work. Virtual Reality. Speaking of virtual reality, it is another technology that has long been viewed as something we were destined to have. Uses for VR are wide ranging, but gaming is an obvious way in which we can get the most out of this growing new niche. The combination of head tracking, a headset that fills your vision space, and games programmed specifically for it, creates an immersive experience that you can’t get anywhere else. Cloud Gaming. The cloud has already revolutionized the way we consume media such as movies and music, and now gaming is the next frontier being conquered. There are two common methods for cloud gaming, streaming video or streaming files. In a way this is gaming on demand similar to how Netflix is video on demand. Essentially cloud gaming uses a thin client to stream game data to the console, PC, or handheld you’re using, with the actual content never being stored on the device. The Eye Tracking. Imagine being able to glance at an area on the screen and your character looks in that direction, without you have to input via a controller? With technology like the eye tracking you can do just that. A camera and a high-res infrared LED track a user’s pupils for even the minimum of movement and through algorithms. The eye tracking can detect where on the screen the user is looking. Yes, the tech is still in the early stages, but these demos have shown that the system works and the signs are certainly promising. Microsoft IllumiRoom. With the Kinect motion sensor and normal off the shelf projectors, IllumiRoom lets the user create an augmented reality render of their living room. While thinking of IllumiRoom as a glorified 3D set up is a start, the project is actually much deeper than that and creates a true environment in your living room by adding noises, environment vibrations, and of course visuals to create an immersive experience. Quantum Dot Display Technology. Firstly, Quantum Dot does not describe a new resolution, but rather a way in which the image is projected onto a screen. LED’s use backlighting on most LCD screen TVs, hence why many users have LED TV’s. Quantum Dot promises to give a better backlight as they are light-emitting semiconductor nanocrystals that take in light and convert it to specific wavelengths to create richer color reproduction. So if you had your eye on a 4K or even 8K screen for your gaming rig, you can still go ahead and get one, although Quantum Dot. Photo Realism. Some of the most beautiful modern games offer a level of detail and accuracy that is truly breath-taking, but while landscapes often look extremely realistic, there is still something lacking when it comes to computer generated characters. With the virtual reality era approaching, it would be even more amazing to delve into these truly immersive worlds where the characters are photo realistic. Mixed with virtual and augmented reality scenarios, we are about to enter a gaming era where the worlds we play in are just like the real thing. Robots vs People in Gaming. We have heard plenty about how artificial intelligence and robots will steal our jobs or rise up like a new race to dethrone their human masters and take over the world. But how about using robots for something fun, like gaming? The end goal is of course for NPC’s to be truly realistic and behave exactly as a real person would. How real this AI can get will largely depend on how realistic the games of the future are, and once again virtual reality will play a part in this. All the technologies discussed here promise a future of gaming that will be unlike anything we have ever seen. While some of these will flounder and others will flourish, it is interesting that all are linked to each other. The industry is pointing in the same direction, and that direction seems to be heading towards deeper immersion, realistic gameplay, and the gaming industry opening up to welcome everyone.